The Centre of Excellence for Digital Preservation, C-DAC, India and Alliance for Permanent Access (APA), are pleased to announce the APA International Conference on Digital Preservation and Development of Trusted Digital Repositories to be held at New Delhi, India. Supporting researchers in exploring and examining digitised artefacts presents many challenges in terms of understanding each researcher's needs, performing appropriate manipulation of and uplift from content, and in presenting a suite of useful research tools to facilitate exploration. A town hall meeting at the American Geophysical Union Conference in San Francisco explores how RDA can both benefit and learn from the Earth science community. At the second EUDAT Conference RDA will have a strong representation in the form of a full plenary session. This plenary session will feature a talk by John Wood on the RDA as a whole as well as several reports on the status of working groups. 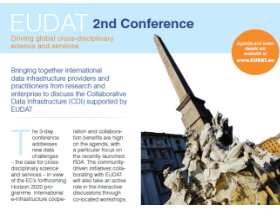 The 2nd conference brings together international data infrastructure providers and practitioners from research and enterprise to discuss the Collaborative Data Infrastructure (CDI) supported by EUDAT. IEDA (Integrated Earth Data Applications) and Elsevier Research Data Services are organizing an International Data Rescue Award in the Geosciences. 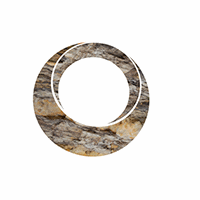 Members of the international geosciences community who have worked on efforts that advance preservation and access of research data, particularly dark data, are kindly invited to share their work and the varied ways that these data are being processed, stored, and used. 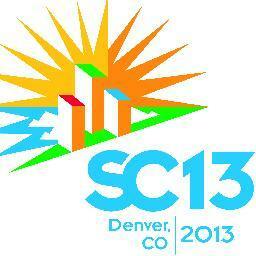 This year, the symposium focuses on “Big Data Analytics”. 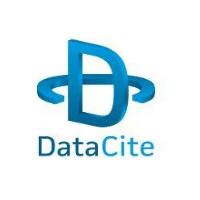 DataCite (www.datacite.org) is a leading global membership organization offering reliable persistent data identification and engaging with stakeholders including researchers, scholars, data centers, libraries, publishers, and funders through advocacy, guidance and services.